For 40 years, DePaul Community Resources has opened doors to hope and belonging for families and individuals across Central and Southwest Virginia. Not just a nonprofit human services organization – DePaul is a social impact organization. Every day they work to change the world by improving the lives of children, by recruiting homes, and providing training to create safe places for local children with specific needs to heal and grow. In recent years, the non-profit organization recognized a rapid increase in children and teens entering the foster care system due to multiple forms of abuse and neglect. The proliferating opioid epidemic was threating the well-being of families and having a devastating impact on the children and child welfare system throughout Virginia. While facing the increasing number of children entering the foster care system, DePaul was having great success placing children in foster care homes who go on to adopt the child. While proud of their adoption rates, DePaul had to also replace these homes at a similar speed to which they move through the foster care program. As a result, DePaul recognized a need to identify 60 or more foster homes. Press Conferences – Four simultaneous press conferences were held throughout Western Virginia urging families to step forward help the children of their region. These events resulted in significant media coverage throughout DePaul’s service area. Videos – Three videos provided a poignant visual representation of the needs of the organization, and the rewarding outcome of seeing kids thrive. Videos were used in advertising and promoted on social media to encourage engagement. 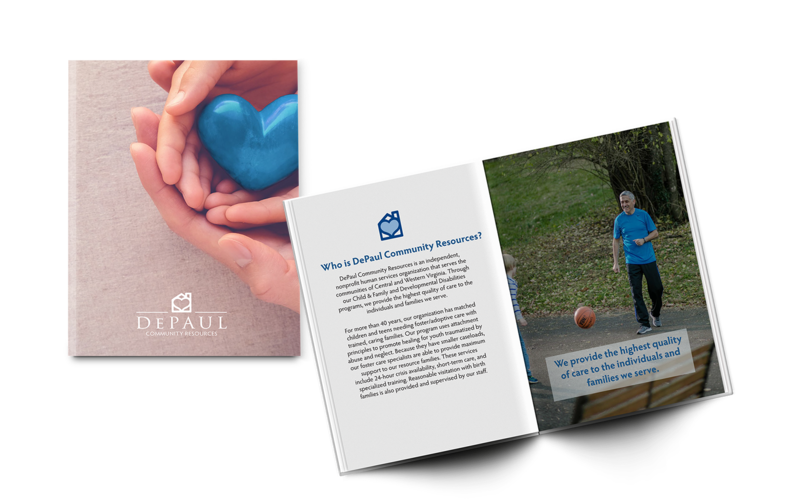 Print Materials – Several brochures were created to highlight some of the families who serve with DePaul, with examples of the very practical steps in helping to develop strong relationships and mentors for children in various situations. Additionally, yard signs and a direct mail piece were created to help raise awareness. Advertising – In addition to running the videos as commercials, there was coordinated digital and social media outreach. 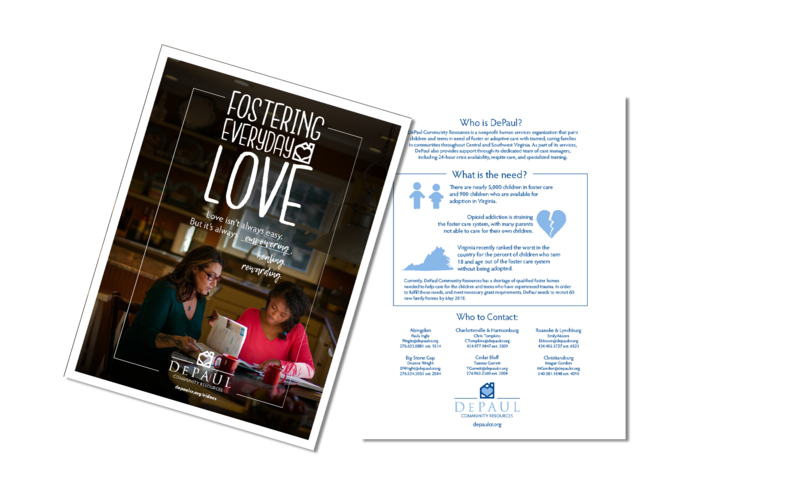 Through the combined efforts of the campaign, DePaul was able to see significant growth in the number of new families entering the foster program. While the process of orienting and training new families takes time, halfway through the year DePaul had 74 new applications, half of which have already become approved homes.